The first time people had cats was about 9,000 years ago. People know this because when a cat died 9,000 years ago it was buried with its owner. 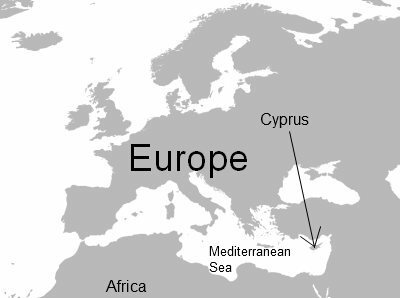 This happened in Cyprus, which is in the Mediterranean Sea. 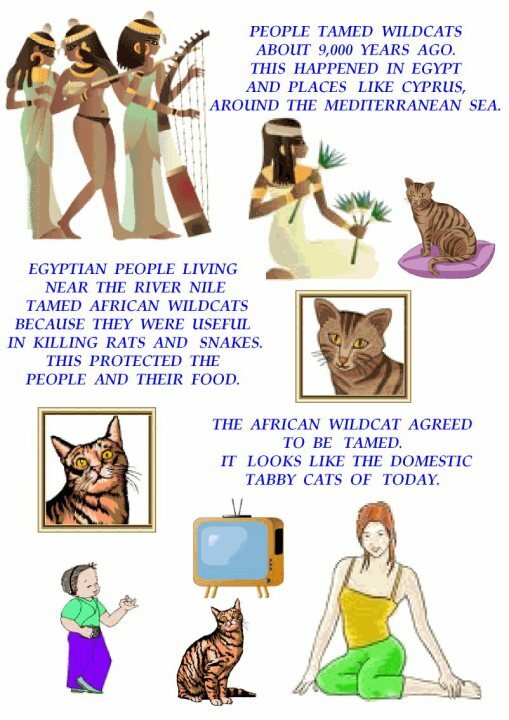 The people of Egypt about 4,000 years ago also kept cats as companions. At one time they worshiped the cat they liked them so much. Since the first time the cat became a companion to a person there have been lots of changes. There are now over 500 million domestic cats in the world. It is probably the most popular pet. This is about the same as the number of people in the United States of America and South America added together! The first tamed cat was a tabby cat. The tabby cat is still the most popular type of cat in the world. 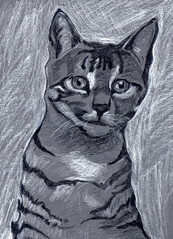 A tabby cat has spots or strips or a swirly coat. Cats have been pets for such a long time yet lots of people do not understand them even now. They are beautiful and mysterious creatures. This is a great way to educate kids about cats. Too many “want a kitten” but don’t know anything at all about cats,their needs or their history. I like to see stories told with pictures thank you. Are mums allowed to post? My kids love this page and I do too.I hope this new idea will educate millions of kids, especially American ones who seem to need it the most. I love the poster,well done Ruth. Good luck with this Micheal.